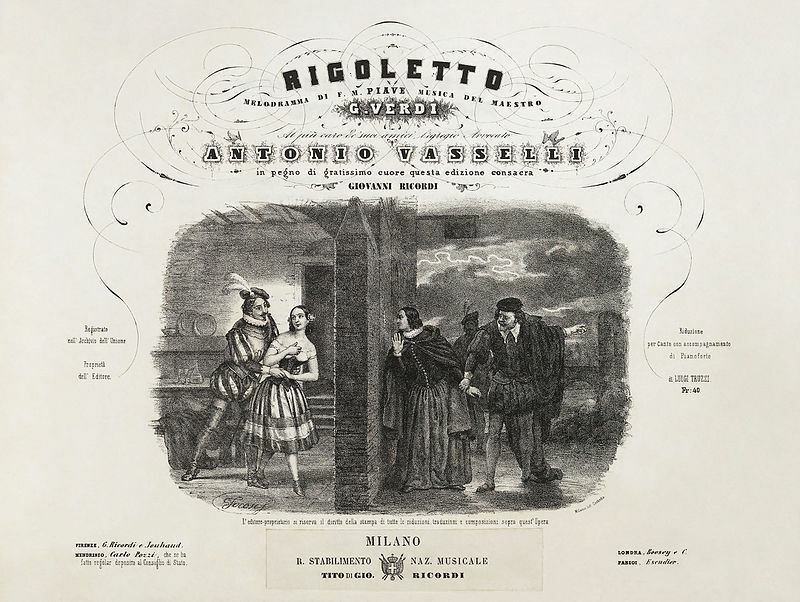 On this date in 1851 Verdi’s Rigoletto premiered in Venice. I’ve already highlighted Verdi — http://www.bookofdaystales.com/giuseppe-verdi/ — and the post included a brief nod to Rigoletto because it was a milestone in the development of opera, not only intertwining complex dramatic elements but also showcasing a variety of musical styles, not least being the eternal favorite “La donna è mobile” (whose title I used just this week in pointing out the difference to my students in the use of the direct article in English and Italian). 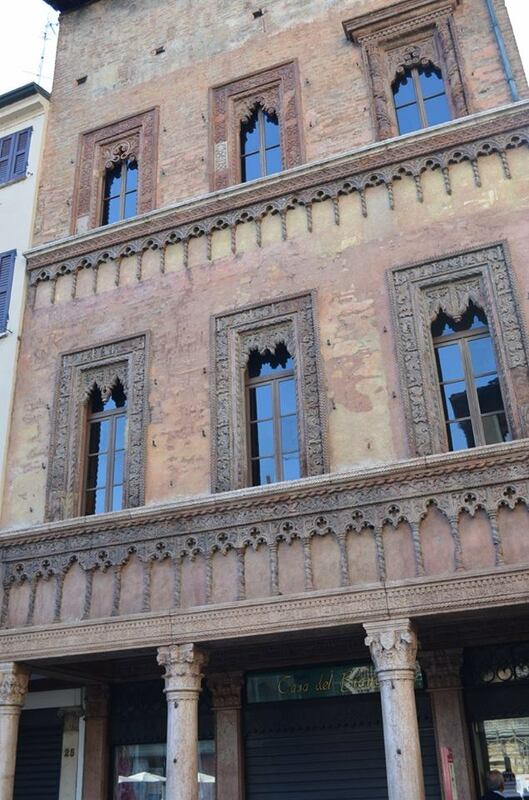 I’m not inclined to do a massive analysis of Rigoletto here, but I do feel the need to say something given that I live right behind a museum called “Rigoletto’s House” (opposite palazzo ducale), touristic tribute to the fact that the opera is set in Mantua. 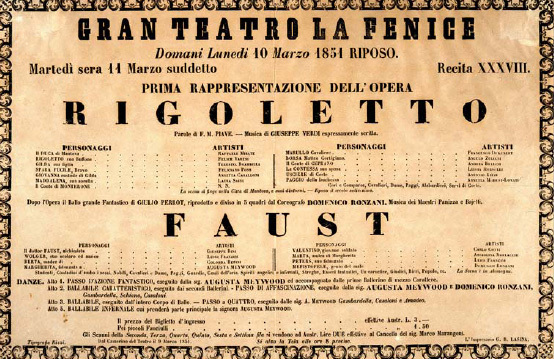 Rigoletto was set in Mantua, in the long past, to escape problems with Austrian censors. 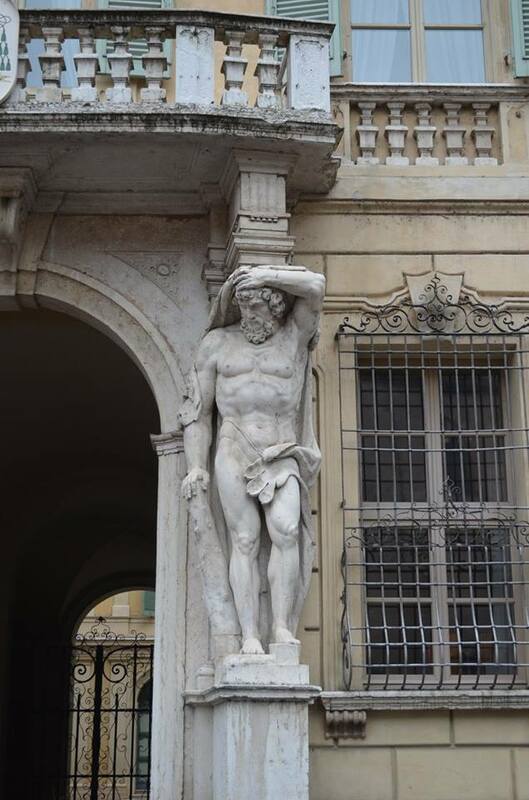 Verdi was commissioned to write a new opera by the La Fenice opera house in Venice in 1850. By this time he was already a well-known composer and had a degree of freedom in choosing the works he would prefer to set to music. 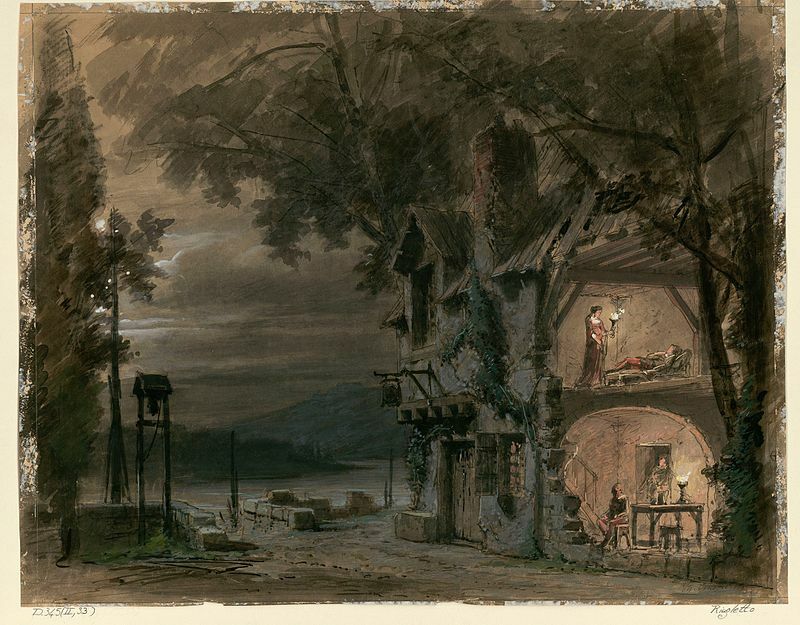 He then asked Francesco Maria Piave (with whom he had already created Ernani, I due Foscari, Macbeth, Il Corsaro and Stiffelio) to examine the play Kean by Alexandre Dumas, père, but he was not happy with the subject matter. 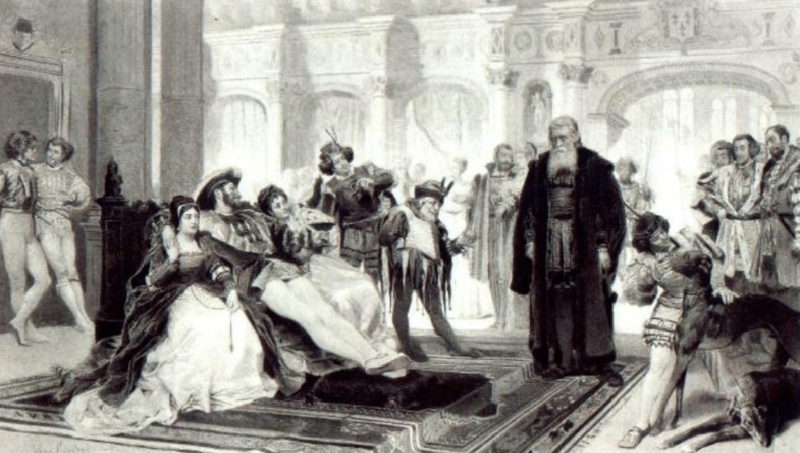 Then Verdi stumbled upon Victor Hugo’s five-act play Le roi s’amuse. He later explained that “The subject is grand, immense, and there is a character that is one of the greatest creations that the theatre can boast of, in any country and in all history.” It was a highly controversial subject, and Hugo himself had already had trouble with censorship in France, which had banned productions after its first performance nearly twenty years earlier (it would not be performed again until 1882). As Austria at that time directly controlled much of Northern Italy, it came before the Austrian Board of Censors. Hugo’s play depicted a king (Francis I of France) as an immoral and cynical womanizer, and this subject did not sit well with the powers that be. 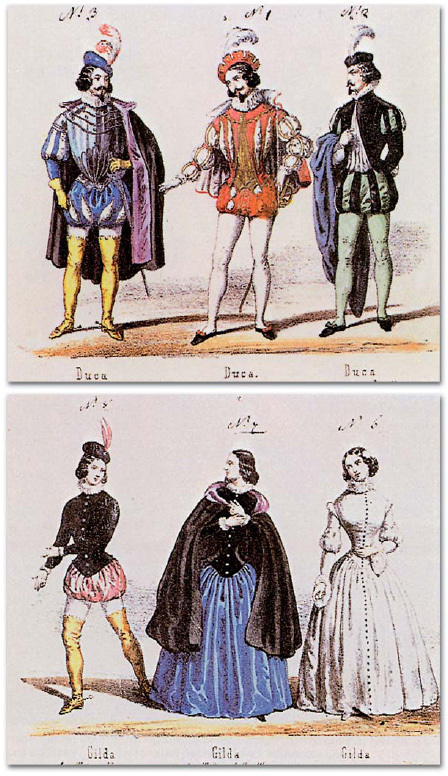 By January 1851 the parties were able to agree that the action of the opera would be moved from the royal court of France to a duchy of France or Italy, and some of the characters would have to be renamed. 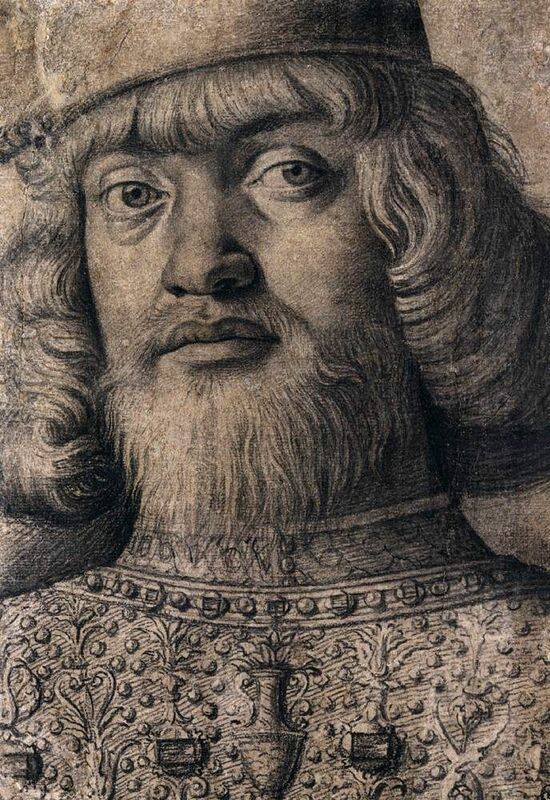 In the new version the Duke reigns over Mantua and belongs to the Gonzaga family. 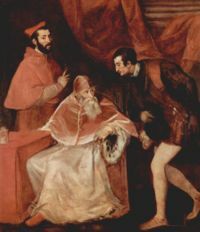 The House of Gonzaga had long been extinct by the mid-19th century, and the Dukedom of Mantua no longer existed, thus no one could be offended. 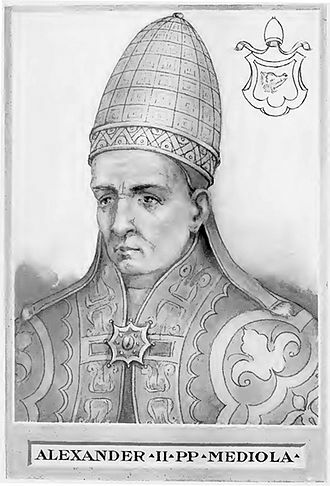 So, even though the connexion with Mantua is purely pragmatic and not motivated by any dramatic necessity, we reap the benefit. Numerous tenors and sopranos have performed the key roles and there are many recordings to choose from. This one amuses me. It’s not stellar but I rather dislike Pavarotti’s renditions which are everywhere. In his earlier years (in the 1960s) he was great, but fame got to him, I fear, and by the time he was a household name, in my oh so humble opinion, he had developed an oversized ego (and body) and an undersized style corrupted by a desire to please audience with cheap theatrics. I’ll take Caruso (or most any other tenor) any day of the week and twice on Sundays over Pavarotti. A Venetian dish might be in order given the location of the premiere, but I like Mantuan cuisine and the opera is set here. So let’s go with another Mantuan specialty, luccio in salsa (pike in sauce). I’m sure you can make a reasonable simulacrum, but without Garda Lake pike and Italian anchovies it won’t be the same. Pike is not an easy fish to prepare because it is riddled with small epipleural or Y-bones. It is best to get fillets from large fish and inspect them carefully, removing any bones you find with tweezers. Poach the fish gently in a pan with the water and wine plus the onion, carrot and celery all cut in large chunks. Season to taste with salt and pepper. Finely chop the capers, parsley and anchovies. Then mix in olive oil to taste. Too little oil will make the sauce over salty. Separate the fillets into medium-sized pieces, place them on a serving dish and pour over the sauce. Let the fish and sauce rest so that the flavors marry. Some Mantuan cooks mash the fish slightly with a fork and then add the sauce. Today is the birthday (1678) of Antonio Lucio Vivaldi, composer, virtuoso violinist, teacher, and cleric. He was born in Venice and is generally considered one of the greatest Baroque composers whose influence during his lifetime was widespread across Europe. He composed a number of instrumental concertos, for the violin and a variety of other instruments, as well as sacred choral works and more than forty operas. Here I want to focus on his best-known work(s), the violin concertos known as The Four Seasons, because they were composed in Mantua where I live now. In particular I want to pay special attention to La Primavera (Spring) because Spring is just starting here. The Four Seasons are very early examples of what has become to be known as program music, that is, music with some kind of narrative underpinning it as opposed to “pure” music, that is, music for its own sake. 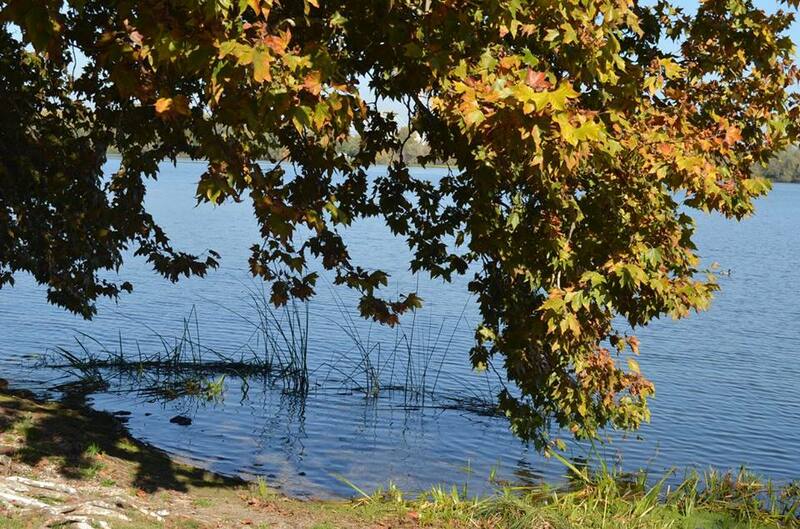 General opinion is that Vivaldi was inspired by the countryside around Mantua as it journeyed through the seasons. 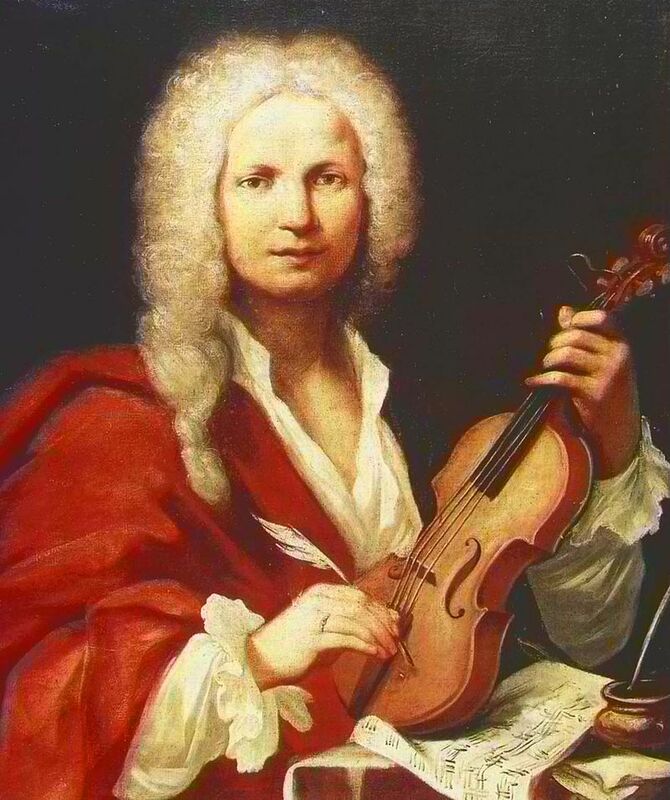 Vivaldi was born in Venice and was baptized immediately after his birth at his home by the midwife, which led to a belief that his life was somehow in danger. 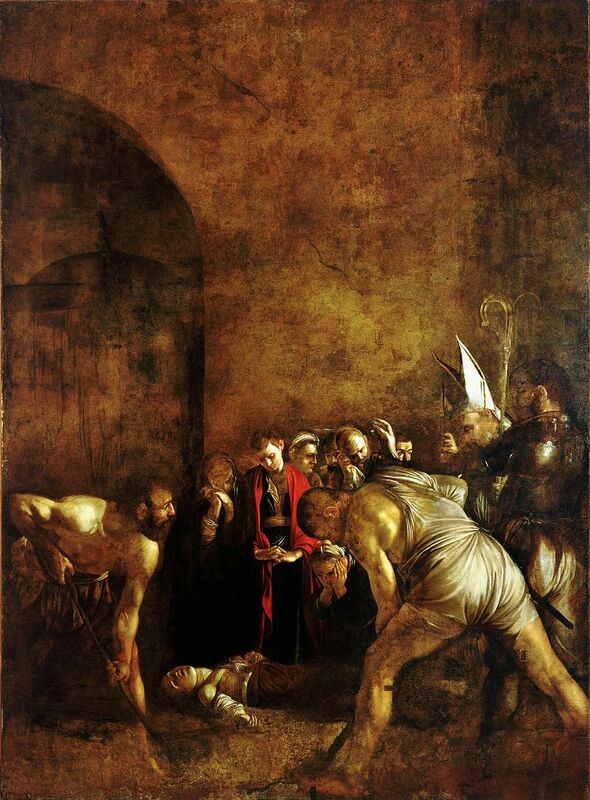 Though not known for certain, the child’s immediate baptism was most likely due either to his poor health or to an earthquake that shook the city that day. 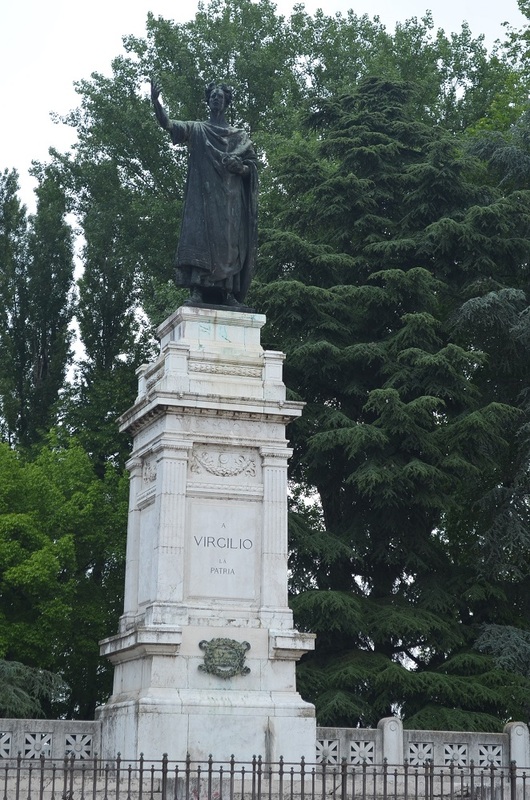 In the trauma of the earthquake, Vivaldi’s mother may have dedicated him to the priesthood. 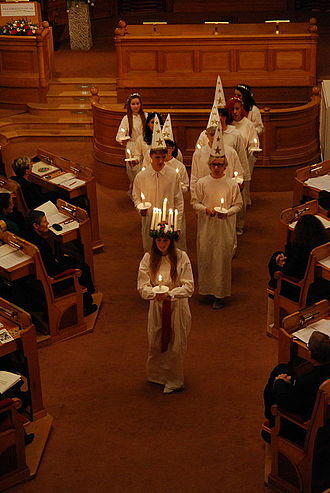 Vivaldi’s official church baptism took place two months later. Vivaldi’s, father, Giovanni Battista, who was a barber before becoming a professional violinist, taught his son to play the violin at an early age and then toured Venice playing the violin with his young son. Vivaldi’s health was problematic. His symptoms, strettezza di petto (“tightness of the chest”), have been interpreted as a form of asthma. 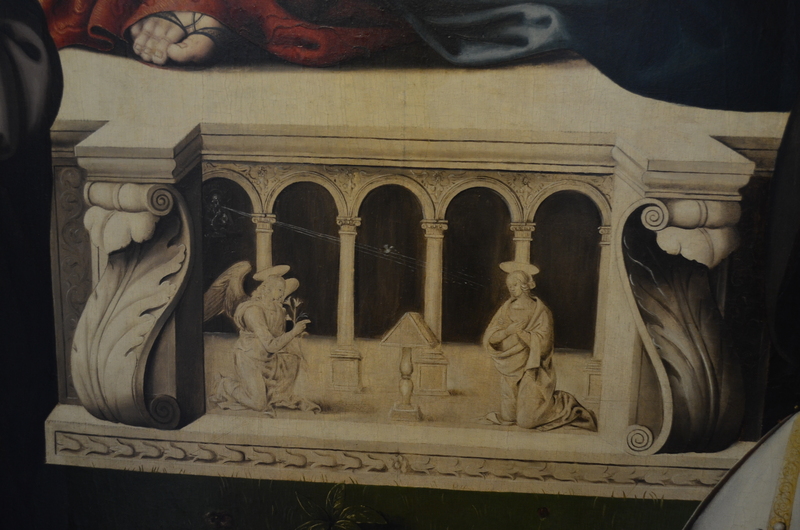 In 1693, at the age of fifteen, he began studying to become a priest. He was ordained in 1703, aged 25, and was soon nicknamed il Prete Rosso, “The Red Priest” which probably referred to the color of his hair, a family trait. Not long after his ordination, in 1704, he was given a dispensation from celebrating Mass because of his ill health. Vivaldi said Mass as a priest only a few times and appears to have withdrawn from priestly duties in general, though he remained a priest. 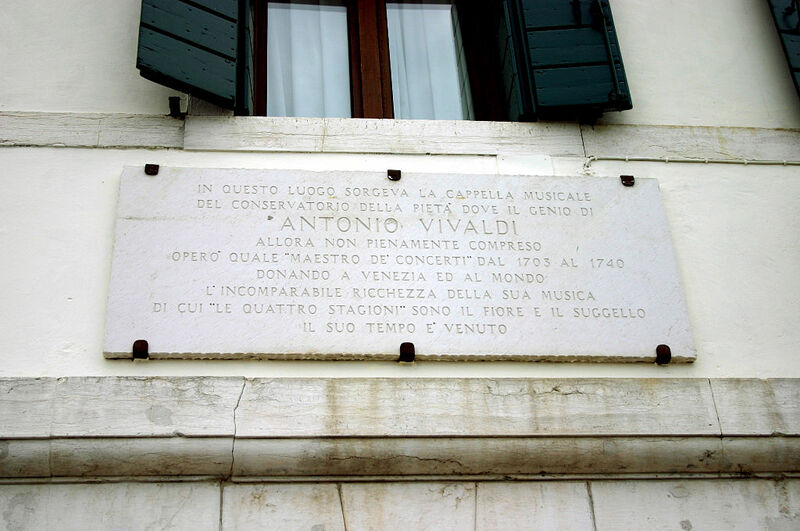 In September 1703, Vivaldi became maestro di violino (master of violin) at the Pio Ospedale della Pietà (Devout Hospital of Mercy), an orphange in Venice. 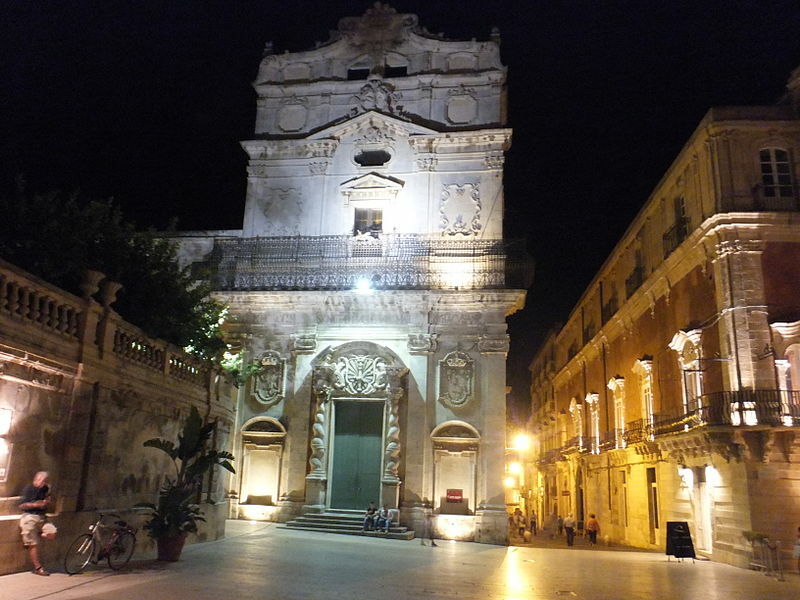 Vivaldi was only 25 when he started working at the Ospedale della Pietà. Over the next thirty years he composed most of his major works while working there. 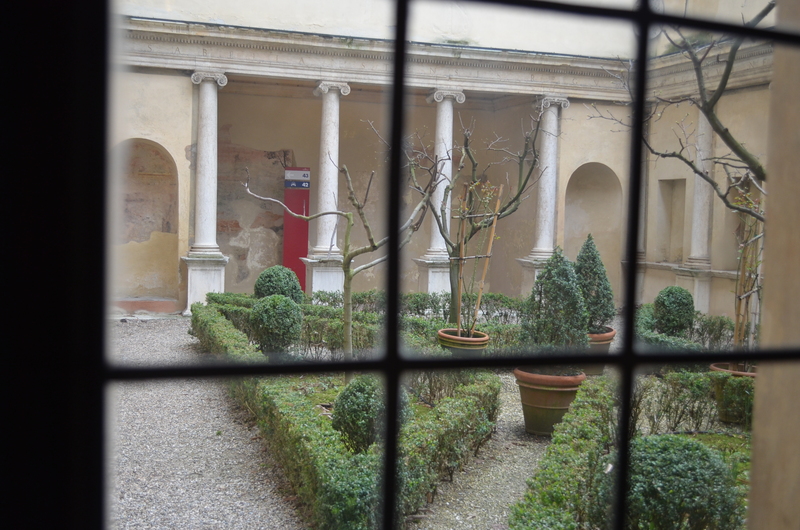 There were four similar institutions in Venice; their purpose was to give shelter and education to children who were abandoned or orphaned, or whose families could not support them. They were financed by funds provided by the Republic. The boys learned a trade and had to leave when they reached 15. The girls received a musical education, and the most talented stayed and became members of the Ospedale’s renowned orchestra and choir. Vivaldi composed over 60 pieces for the singers and musicians of the orphanage. 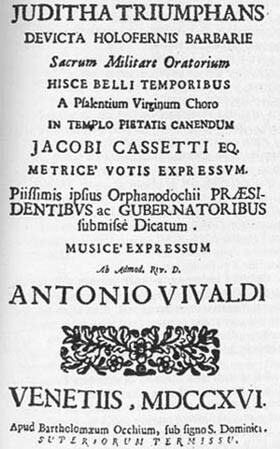 In 1717 or 1718, Vivaldi was offered a prestigious position as Maestro di Cappella of the court of prince Philip of Hesse-Darmstadt, governor of Mantua. He moved there for three years and produced several operas, among which was Tito Manlio (RV 738). During this period Vivaldi wrote the Four Seasons. Three of the concertos are of original conception, while the first, “Spring,” borrows motifs from a Sinfonia in the first act of his contemporaneous opera Il Giustino. They were a revolution in musical conception: in them Vivaldi represented flowing creeks, singing birds (of different species, each specifically characterized), barking dogs, buzzing mosquitoes, crying shepherds, storms, drunken dancers, silent nights, hunting parties from both the hunters’ and the prey’s point of view, frozen landscapes, ice-skating children, and warming winter fires. Each concerto is associated with a sonnet, possibly by Vivaldi, describing the scenes depicted in the music. Here is the concerto. The sonnet should guide you through the music. It is not clear whether Vivaldi wrote the sonnets that accompany the concertos nor whether they were written first or later. 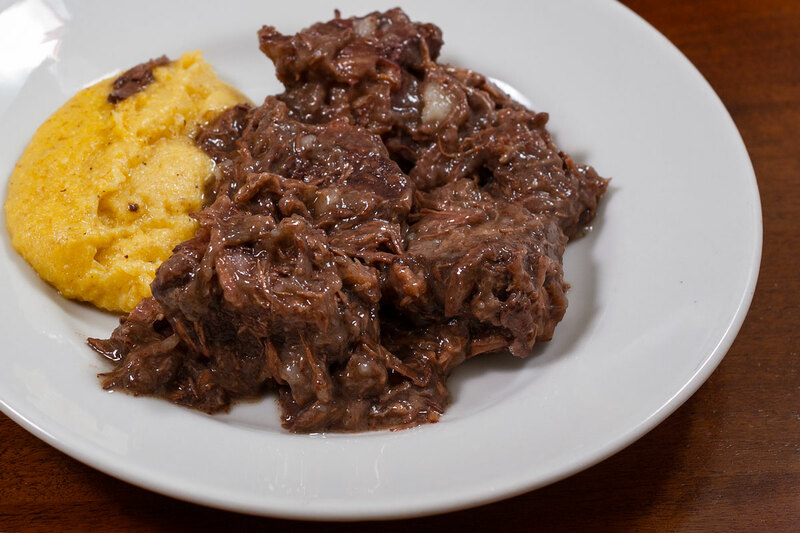 A rustic Mantuan dish is suitable for today and I have chosen stracotto d’asino (donkey stew) which is well loved in Mantua. It can be served in two ways: as a first course in which case it is the sauce for pasta such as macaroni, or as a second course where it is the main dish and typically accompanied by polenta. As a first course with pasta you should use very little stracotta as a sauce. You can substitute beef for donkey meat, but, of course, it’s not the same. Donkey is readily available in markets in Mantua and surrounds. It is a tough meat that requires long, slow cooking. 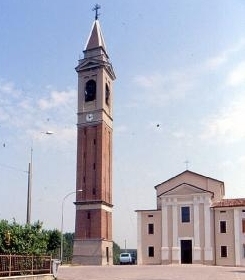 In Mantua the recipe calls for lardo di maiale which is prepared pork fat. You can use fatty bacon as a substitute. The wine for marinating is the Lambrusco that originates in the region of Mantua. It is the only Lambrusco produced in Lombardy as opposed to the Emilia Romagna region. 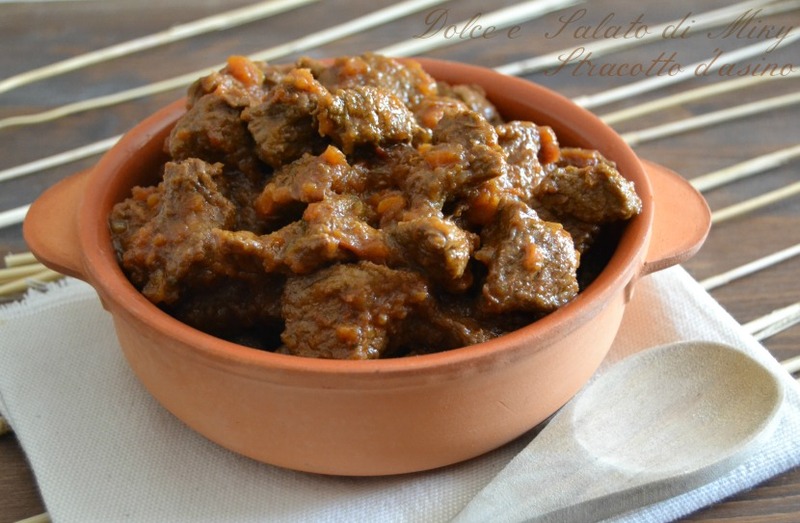 Marinate the donkey meat for at least one day in the wine, then remove it and dry it. Melt the lardo in a Dutch oven with the oil and butter. When completely melted, add the vegetables, bay leaf, rosemary and cloves of crushed garlic. Salt lightly and cook over high heat, stirring often. Add the donkey meat and brown it on all sides. Then add the wine marinade along with the peppercorns and cinnamon. Add enough broth so that the meat is covered completely. Bring to a slow simmer, cover the pan, and cook slowly until the meat is in shreds. This may take 3 to 4 hours. Remove the meat from the liquid. Strain the liquid and keep it warm. Shred the meat and add it back to the liquid. Heat through, making sure the meat and sauce are thoroughly mixed. 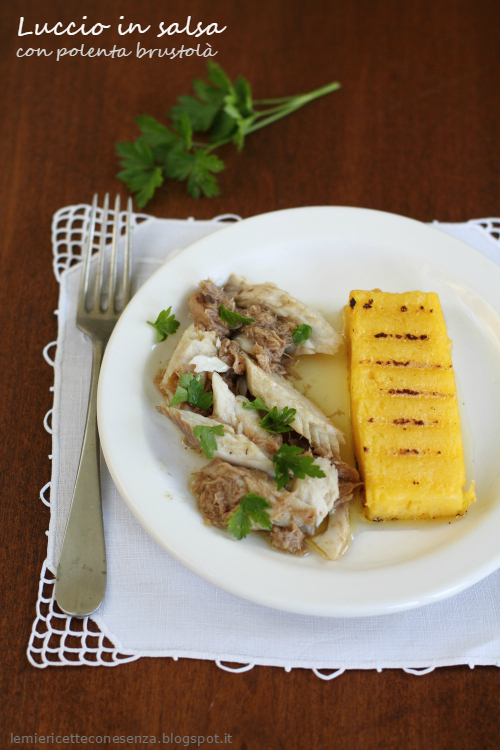 Serve with macaroni as a first course, or with polenta as a second course. Today is reputedly the birthday (1474) of Isabella d’Este, Marchesa of Mantua and an important figure in the Renaissance. She was a political leader, a patron of the arts, and a fashionista whose innovative style of dressing was copied by women throughout Italy and at the French court. She served as the regent of Mantua during the absence of her husband, Francesco II Gonzaga, Marquess of Mantua, and during the minority of her son, Federico, Duke of Mantua. Isabella’s early life is unusually well-documented because of the exalted position of her parents and their voluminous correspondence. Unfortunately specific days sometimes get confused in the welter of details. Some say that she was born on a Tuesday at 9 o’clock in the evening. Very precise; but that would make her birth date the 17th . Others claim the 19th as the correct date. Majority opinion splits the difference and use the 18th as correct. I’ll stay out of the debate, but I do want to celebrate her because I live in Mantua now, and she is an important component of the town’s history. Today works for me. She was born in Ferrara, to Ercole I d’Este, Duke of Ferrara and Eleanor of Naples. 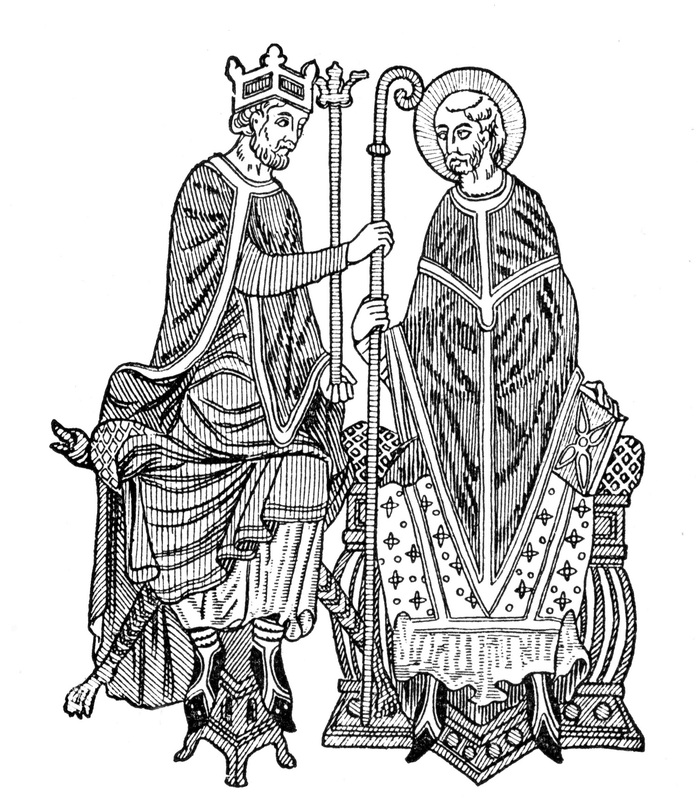 Eleanor was the daughter of Ferdinand I, the Aragonese King of Naples, and Isabella of Clermont. Isabella received an excellent education, which was unusual for girls at the time. As a child she studied Roman history, Greek, and Latin (and could recite Virgil and Terence by heart). She was personally acquainted with the politicians, ambassadors, painters, musicians, writers, and scholars, who lived in and around the court. Isabella was known as a talented singer and musician, and was taught to play the lute by Giovanni Angelo Testagrossa. In addition she was an innovator of new dances. 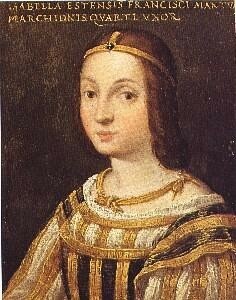 In 1480, at the age of six, Isabella was betrothed to Gianfrancesco, the heir to the Marquis of Mantua. Isabella did not consider him handsome, but admired him for his strength and bravery and regarded him as honorable. After their first few encounters, she found that she enjoyed his company and spent the next few years getting to know him. During their courtship, Isabella treasured the letters, poems, and sonnets he sent her as gifts. Ten years later, on 11 February 1490 at age 15, she married Francesco Gonzaga, who had by then succeeded to the marquisate. Isabella became Marchesa on this marriage amid a spectacular outpouring of popular acclamation. 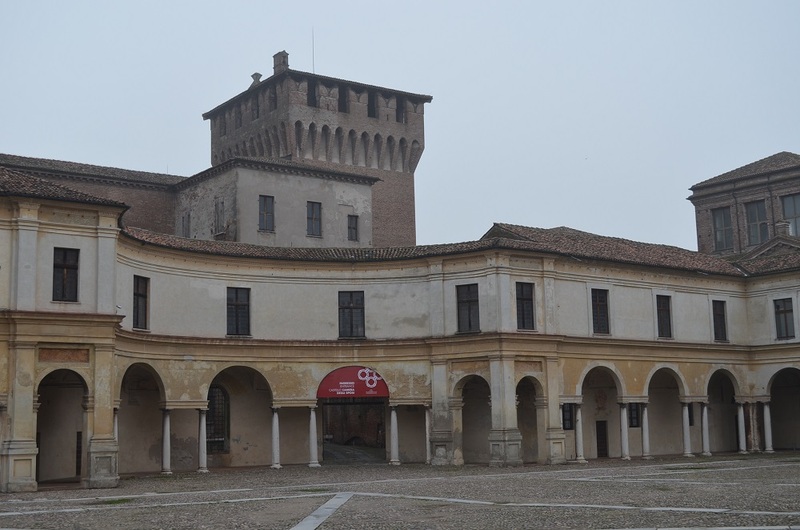 Francesco, in his capacity as Captain General of the Venetian armies, was often required to go to Venice for conferences which left Isabella in Mantua on her own at La Reggia, the ancient palace which was the family seat of the Gonzagas. She passed the time with her mother and sister, Beatrice; and upon meeting Elisabetta Gonzaga, her 18-year-old sister-in-law, the two women became close friends. They enjoyed reading books, playing cards, and traveling about the countryside together and maintained a steady correspondence until Elisabetta’s death in 1526. A year after her marriage to Isabella’s brother, Alfonso in 1502, Lucrezia Borgia became Francesco’s mistress. I’ve spoken about this troubled relationship before and don’t need to say more. http://www.bookofdaystales.com/lucrezia-borgia/ When a married man sleeps with another woman there are likely to be problems. I think what we have to avoid are judgments based on our own conceptions of morality and the mores of our own times. Based on what I know from her letters, Isabella felt betrayed largely because she felt she had a unique bond with Francesco that was not common among the nobility of the times. Marriages were arranged out of expediency and not love, so a certain amount of infidelity was expected and certainly condoned (although more for men than women). Isabella believed her marriage was special and blamed Lucrezia for the affair even though Francesco often slept with prostitutes (from whom he contracted syphilis – from which he died, and which his son inherited and died from also). 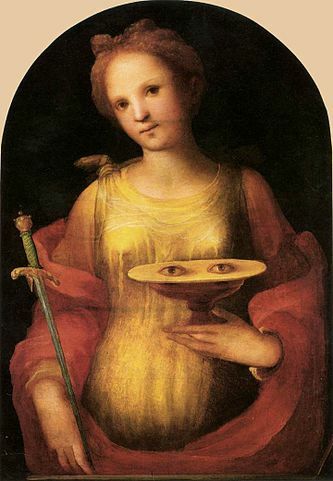 Isabella played an important role in Mantua during the city’s troubled times. 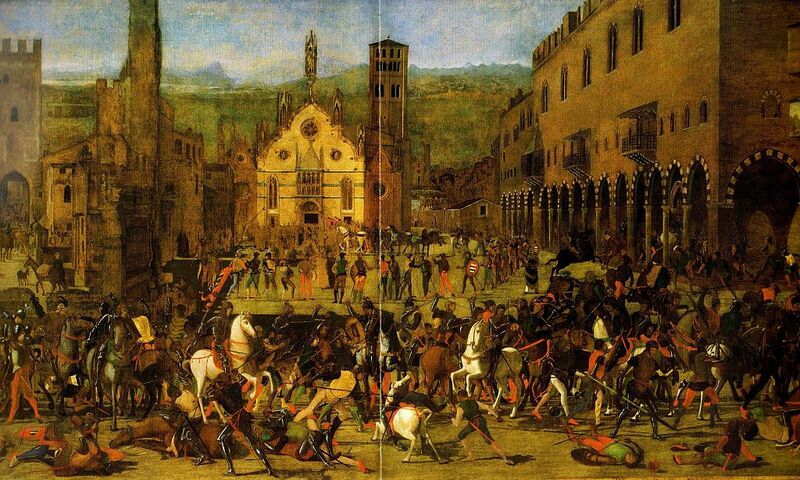 When her husband was captured in 1509 and held hostage in Venice, she took control of Mantua’s military forces and held off invaders until his release in 1512. In the same year she was the hostess at the Congress of Mantua, which was held to settle questions concerning relations between Florence and Milan. As a ruler, it was clear that she was much more assertive and competent than her husband. 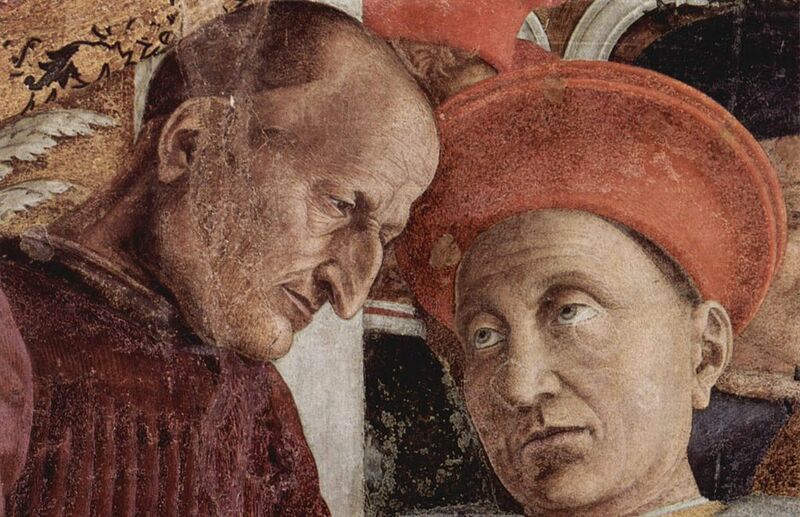 When apprised of this fact upon his return, Francesco was furious and humiliated at being upstaged by his wife’s superior political ability. 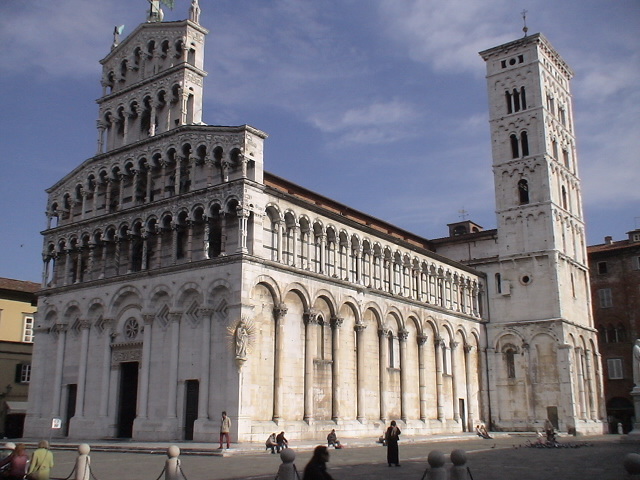 The marriage broke down irrevocably, and, as a result, Isabella began to travel freely and live independently from her husband until his death on 19 March 1519. After the death of her husband, Isabella ruled Mantua as regent for her son, Federico. She began to play an increasingly important role in Italian politics, steadily advancing Mantua’s position. She was instrumental in promoting Mantua to a Duchy, which she obtained by wise diplomatic use of her son’s marriage contracts. 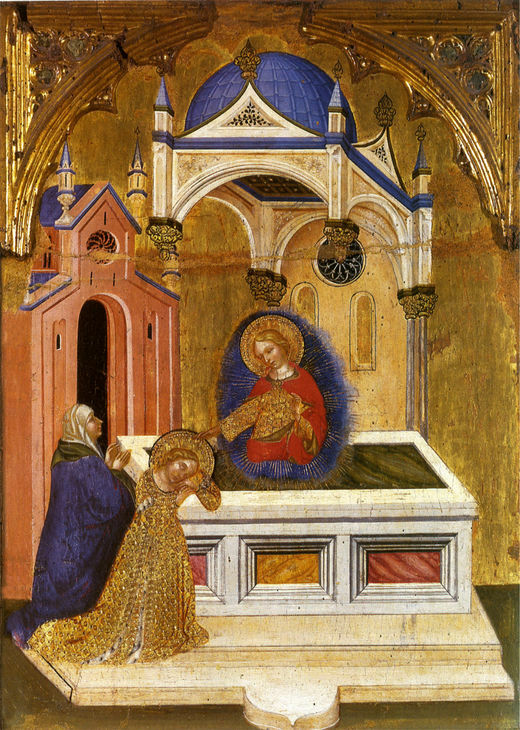 She also succeeded in obtaining a cardinalate for her son Ercole. She further displayed shrewd political acumen in her negotiations with Cesare Borgia, who had dispossessed Guidobaldo da Montefeltro, duke of Urbino, the husband of her sister-in-law and good friend Elisabetta Gonzaga in 1502. Isabella d’Este was famous as a very important patron of the arts during the Renaissance. Many of her accomplishments are documented in her correspondence, which is still archived in Mantua (c. 28,000 letters received and copies of c. 12,000 letters written). 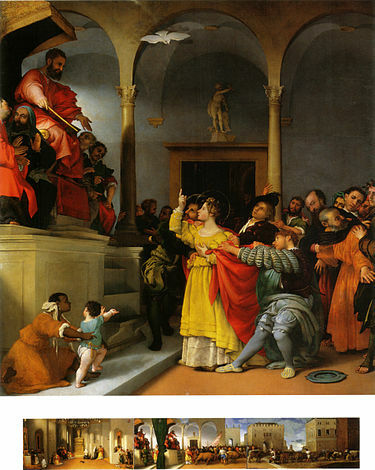 In painting she had the most famous artists of the time work for her, such as, Giovanni Bellini, Giorgione, Leonardo da Vinci, Andrea Mantegna (court painter until 1506), Perugino, Raphael, and Titian, as well as Antonio da Correggio, Lorenzo Costa (court painter from 1509), Dosso Dossi, Francesco Francia, Giulio Romano and many others. 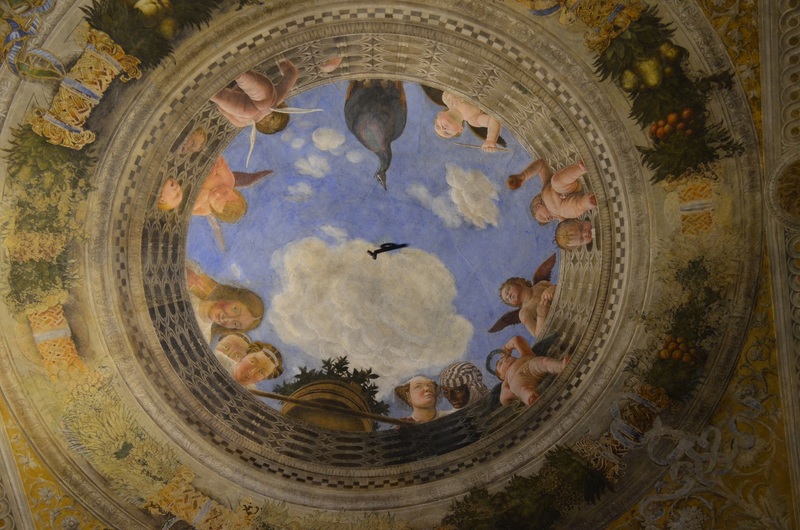 Her ‘Studiolo’ in the Ducal Palace, Mantua, was decorated with allegories by Mantegna, Perugino, Costa and Correggio. Isabella is considered by some art historians to be a plausible candidate for the woman in Leonardo’s ‘Mona Lisa’ of 1502-06, which is usually considered a portrait of Lisa del Giocondo. 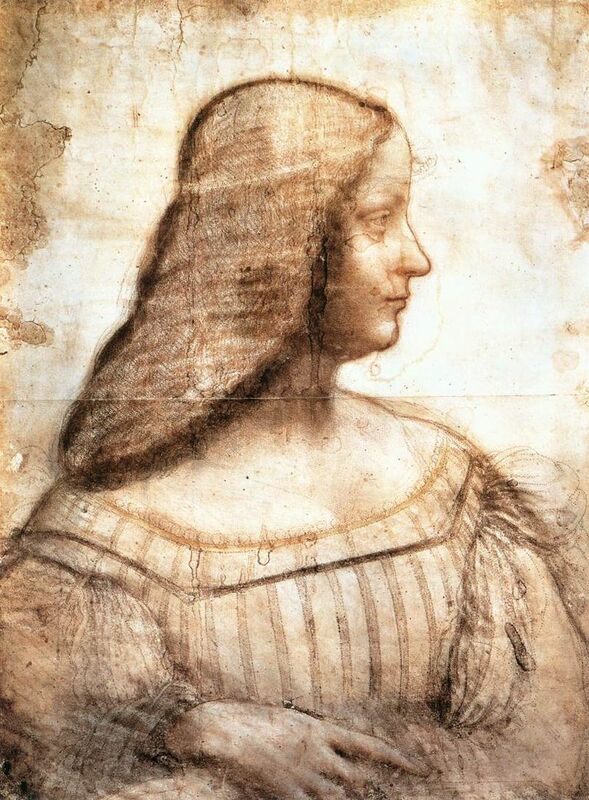 (wife of a merchant in Florence) Evidence in favor of Isabella as the subject of the famous work includes Leonardo’s drawing ‘Isabella d’Este’ from 1499 and her letters of 1501-06 requesting a promised painted portrait. 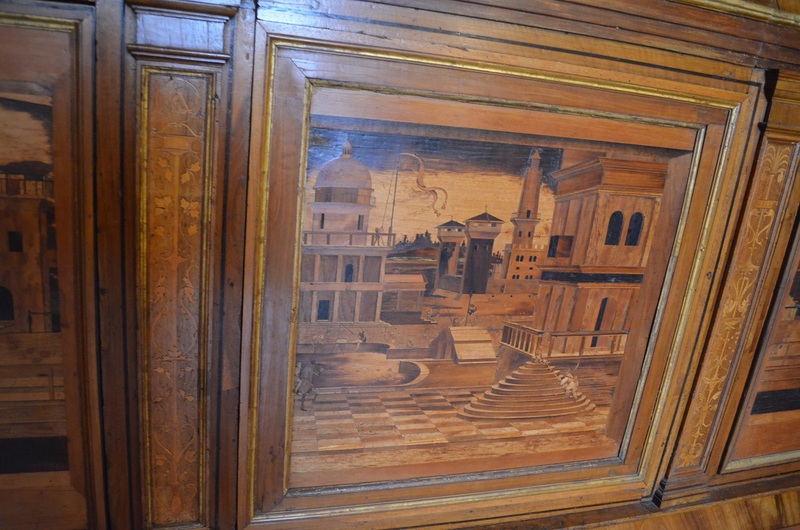 The mountains in the background of the Mona Lisa could be the Dolomites, and the armrest is a Renaissance symbol for a portrait of a sovereign. You decide. The image below is from left to right, Leonard’s sketch of Isabella, a digitally cleaned up version of the Mona Lisa, and the Mona Lisa as it has been known for many years without cleaning. Isabella contracted the most important sculptors and medallists of her time – such as, Michelangelo, Pier Jacopo Alari Bonacolsi (L’Antico), Gian Cristoforo Romano and Tullio Lombardo, and collected ancient Roman art. In the humanities she was in contact with Pietro Aretino, Ludovico Ariosto, Pietro Bembo, Baldassare Castiglione, Mario Equicola, Gian Giorgio Trissino etc. In music she sponsored the composers Bartolomeo Tromboncino and Marco Cara, and played the lute herself. She employed women as professional singers at her court, which was unusual for the time, including Giovanna Moreschi, the wife of Marchetto Cara. As a fashion leader, she ordered the finest clothing, including furs as well as the newest distillations of scents, which she made into perfumes and sent as presents. 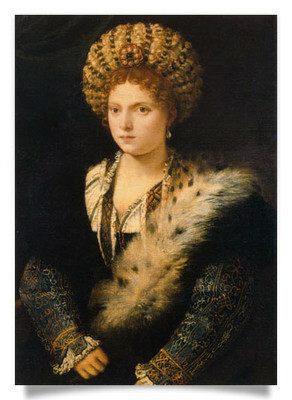 Her style of dressing in caps (‘capigliari’) and plunging décolletage was imitated throughout Italy and at the French court. 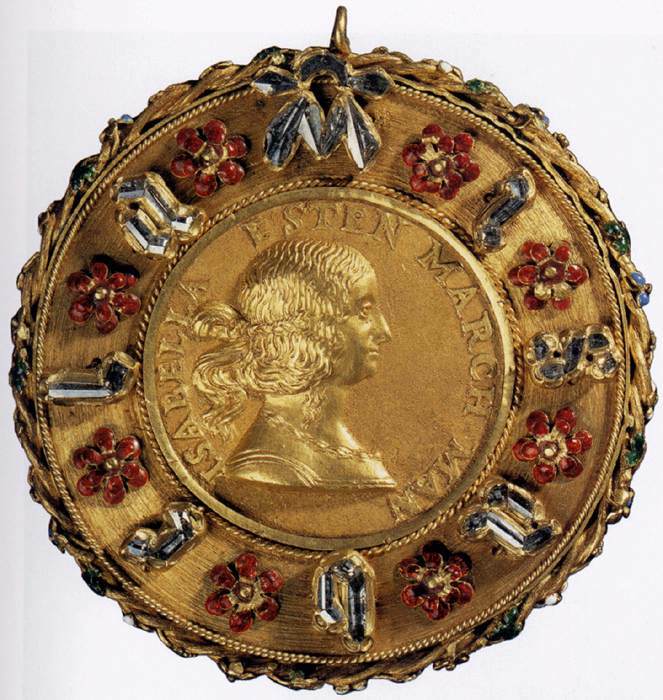 Isabella had met the French king in Milan in 1500 on a successful diplomatic mission which she had undertaken to protect Mantua from French invasion. Louis had been impressed by her, and it was while she was being entertained by Louis, whose troops occupied Milan, that she offered asylum to Milanese refugees including Cecilia Gallerani, the refined mistress of her sister Beatrice’s husband, Ludovico Sforza, Duke of Milan, who had been forced to leave his duchy in the wake of French occupation. Isabella presented Cecilia to King Louis, describing her as a “lady of rare gifts and charm”. 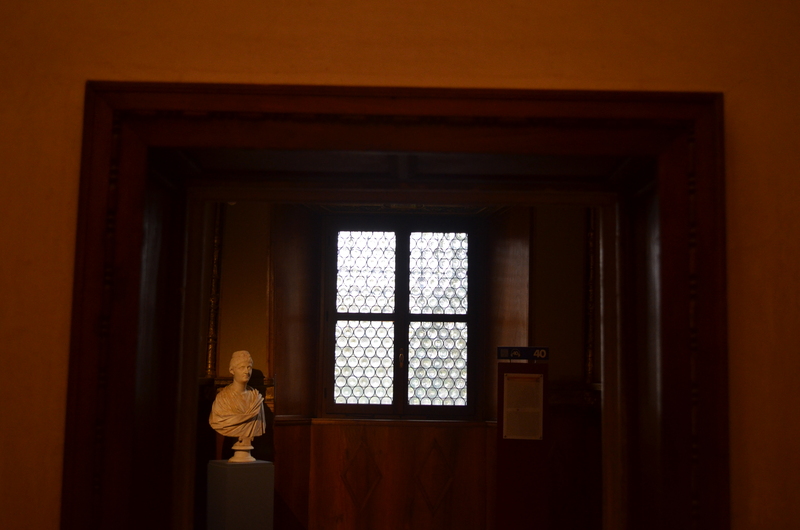 As a widow, Isabella at the age of 45 became a devoted head of state while regent for her son. To improve the well-being of her subjects she studied architecture, agriculture, and industry, and followed the principles that Niccolò Machiavelli had set forth for rulers in The Prince. 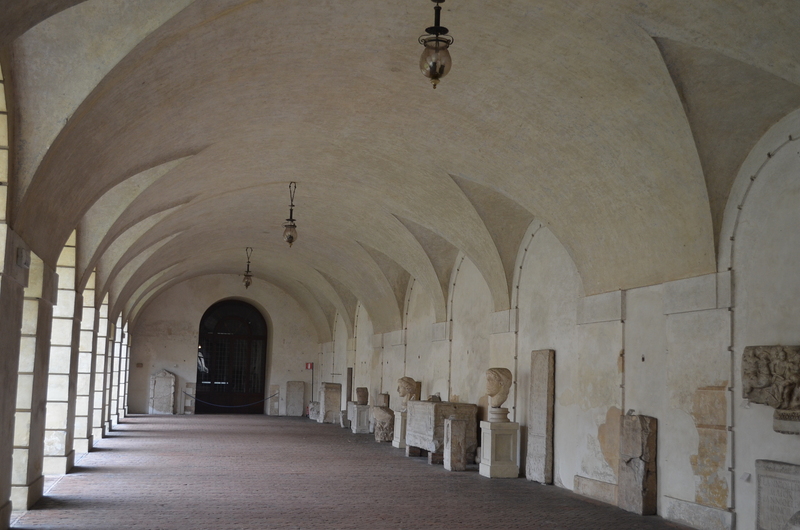 The people of Mantua are said to have respected and loved her, and she is still held in high regard here. Isabella left Mantua for Rome in 1527. She was present during the catastrophic Sack of Rome, when she converted her house into an asylum for about 2000 people fleeing the Imperial soldiers. Isabella’s house was one of the very few which was not attacked, due to the fact that her son was a member of the invading army. When she left, she managed to acquire safe passage for all the refugees who had sought refuge in her home. 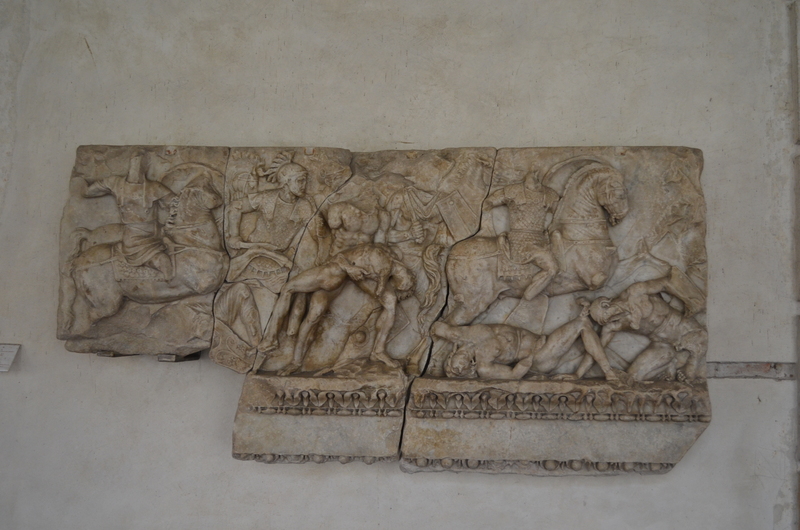 After Rome became stabilized following the attack, she left the city and returned to Mantua. She made it a centre of culture, started a school for girls, and turned her ducal apartments into a museum containing the finest art treasures. 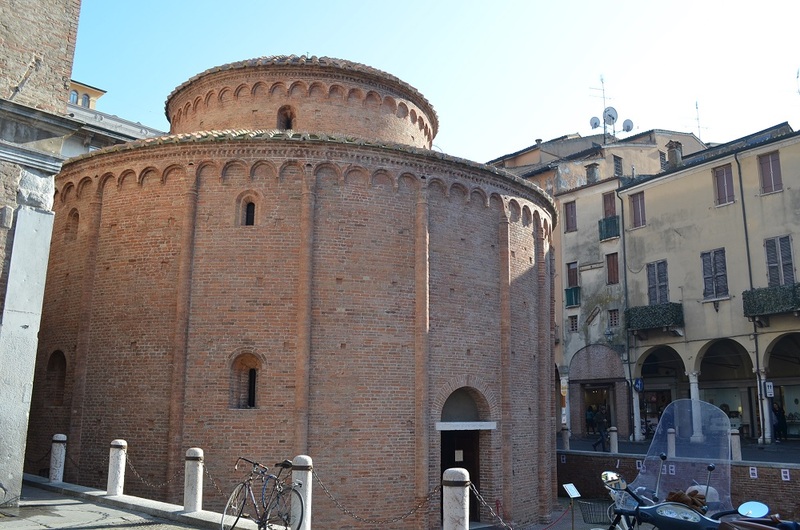 This was not enough to satisfy Isabella, already in her mid-60s, so she returned to political life and ruled Solarolo, in Romagna until her death on 13 February 1539. 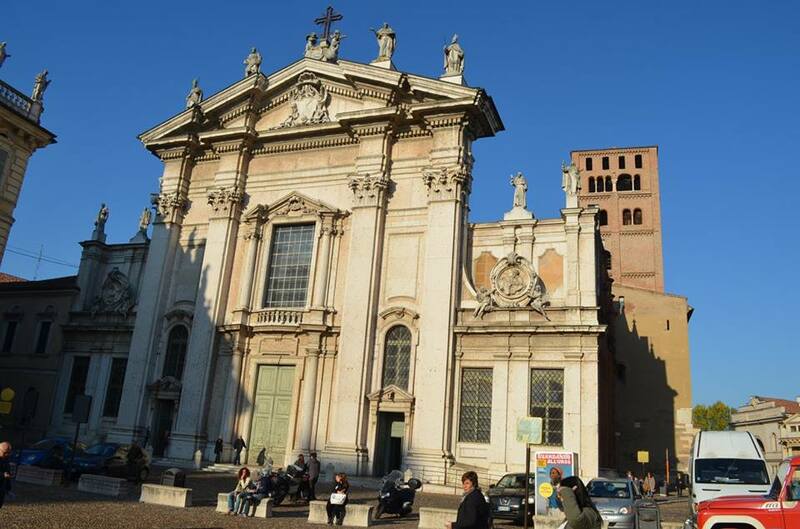 Isabella is a very important figure in Mantua today, not least because the center of the town is preserved very much as it was in her day. Frescoes, paintings, tapestries, and sculptures that she collected or commissioned are still on display, and you can visit her apartments and gardens. Here’s a small gallery of my own photographs. 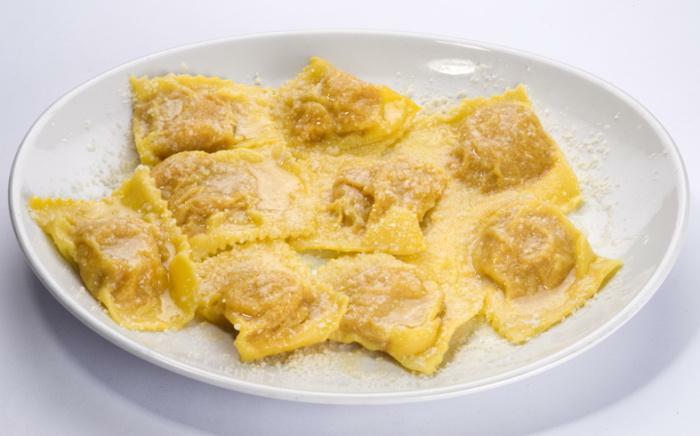 There are many traditional dishes from Mantua which are famous, such as tortelli di zucca, pasta stuffed with pumpkin, which is available in numerous restaurants around town. 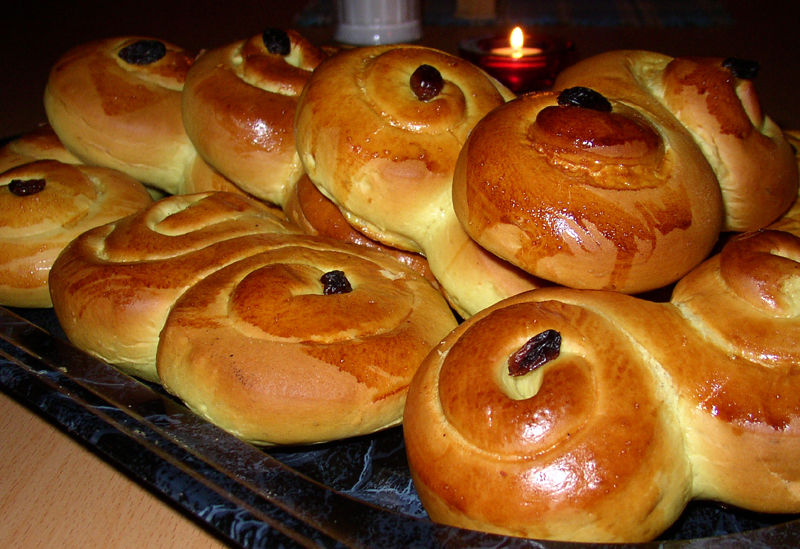 It is commonly eaten on Christmas Eve as part of the evening festivities. 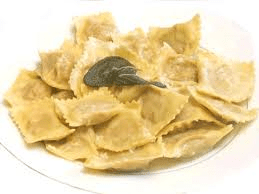 There are also dishes made from local lake fish, and the common Mantuan risotto, (alla pilota), is not moist and creamy, as in other parts of Italy, but dry with all the grains separate. 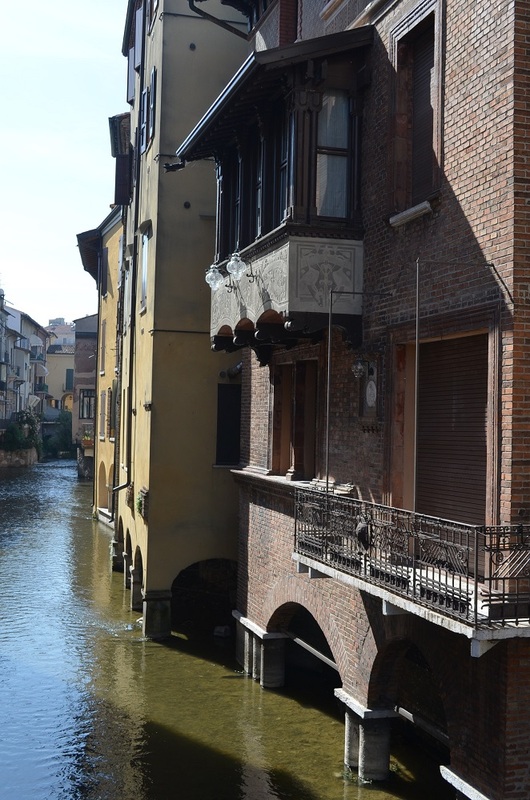 As with any artisanal cuisine, you are better off coming to Mantua if you want the real thing, but you can find plenty of Mantuan recipes online if you want to experiment. 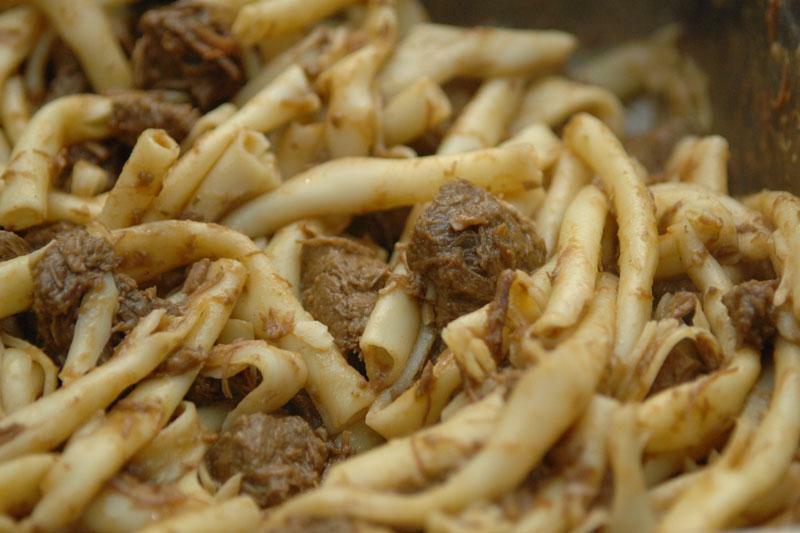 Sbrisolona is probably the tourist favorite, enjoyed as much by Italian tourists as foreigners, and loved by Mantuans as well. You’ll see it on sale everywhere. 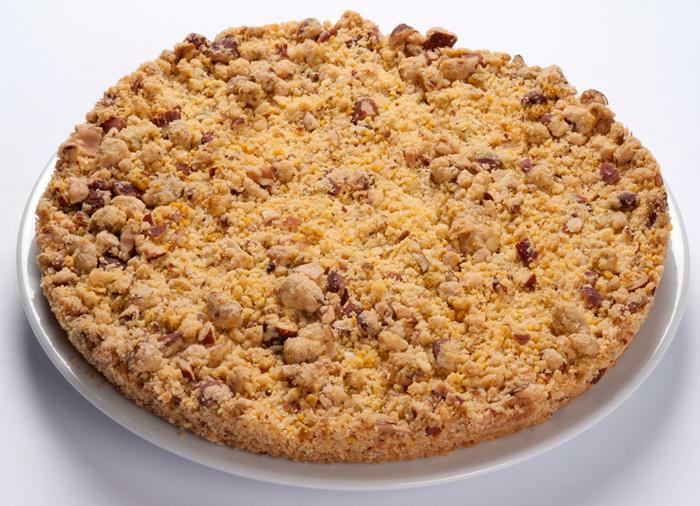 Sbrisolona is a round, flat, flour, butter, and nut crumble cake that is not terribly difficult to make at home; but Mantuan bakers make a specialty of it, and theirs is hard to beat. 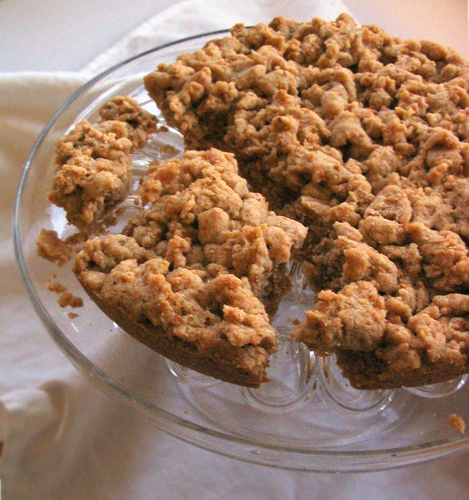 Sometimes you can find it with nuts other than almonds, or with dried fruits, but the idea is basically the same. You can see that the measures are very easy to follow, and overall it is not complicated. It’s just that local ingredients plus the generations of experience of local bakers are unbeatable. Italian tourists wouldn’t buy it by the ton if they could make it as well themselves. Here’s a decent recipe. 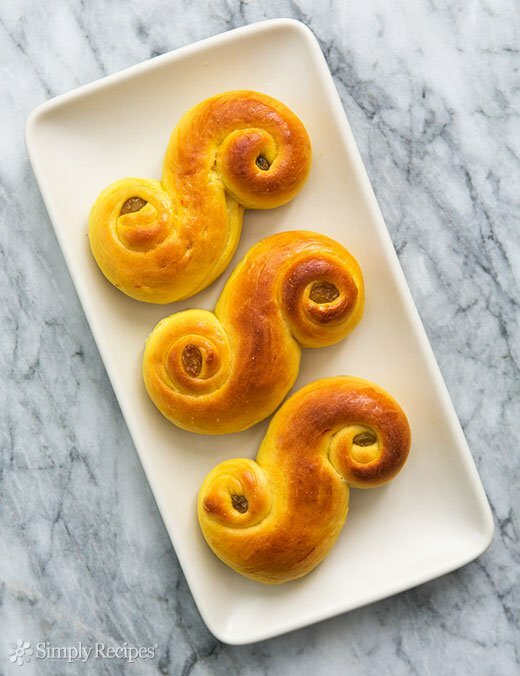 The special polenta flour may be the hardest ingredient to find. Heat the oven to 170°F. Mix the flour, sugar, polenta flour and salt together in a large bowl. Add the butter in the same way you would to make pastry. That is, dice it small and rub it into the dry ingredients until it looks like rough crumbly sand. A food processor is good for this step. Pulse the ingredients about 8 times. Add the ground almonds, lemon zest, egg yolk, and grappa and mix lightly. This will make a crumbly dough. Do not mix too much. Put the mix into a lightly greased 26 cm tin without smoothing – just toss it in and spread. Add a few whole almonds. Bake for about 30 minutes or until golden. Let the pan cool and turn out the cake carefully. 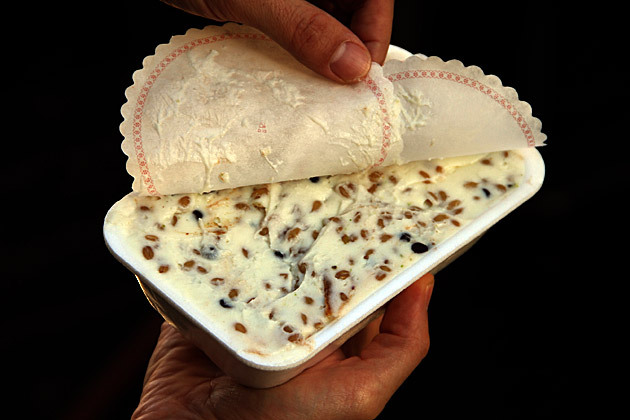 Sbrisolona keeps well in an air-tight container. To eat it, do not cut it with a knife but break it with your hands. The two main elements of this tale have led to him being associated with throat ailments and with wool combing. 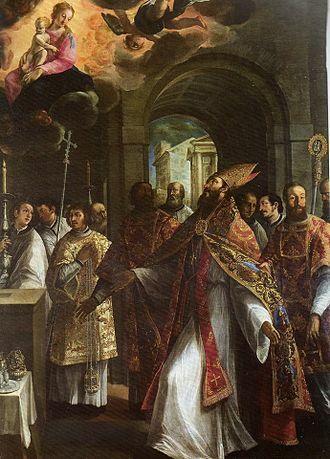 The cult of St Blaise was very popular in the 11th and 12th centuries as is attested in numerous shrines and villages dedicated to his name – primarily in Spanish speaking countries (san Blas) as well as in Italy (san Biagio) and Croatia (Sveti Vlaho). 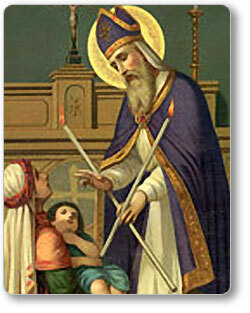 Likewise, the Blessing of the Throats ritual was, and is, common worldwide on the feast of St Blaise. 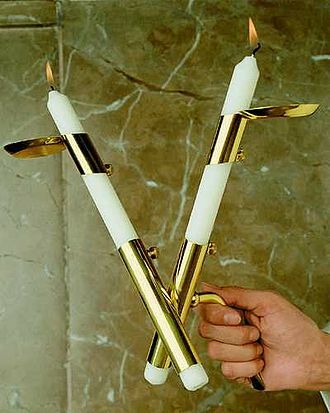 Crossed candles are themselves blessed on Candlemas (Feb 2), then lit on St Blaise and pressed to the throats of those who wish, accompanied by one of several special prayers of intercession. 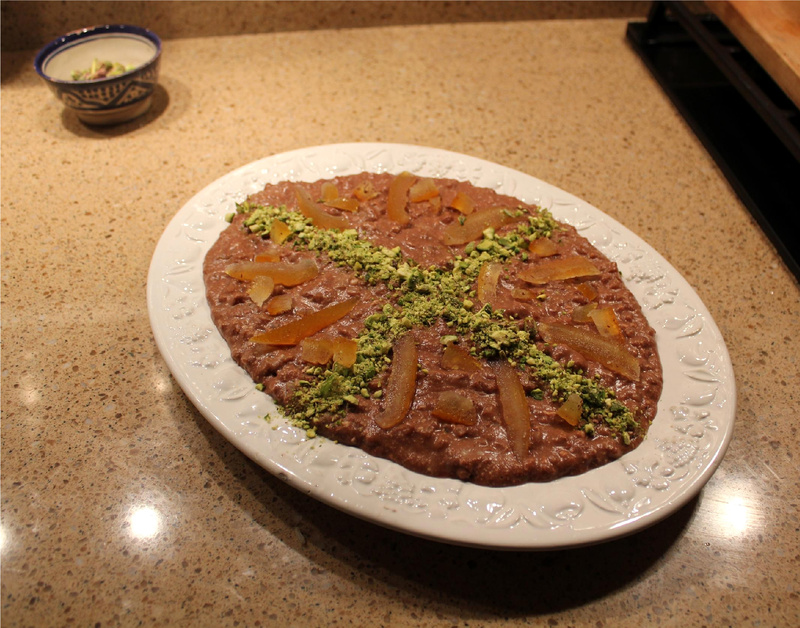 Given the importance of the throat in the veneration of St Blaise, it’s not surprising that special dishes are associated with this day. Here’s a couple. 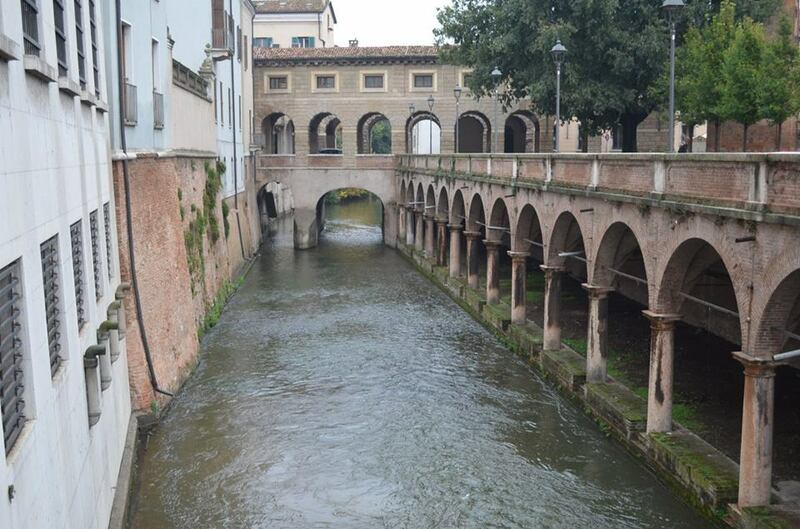 There is a small village called san Biagio a few kilometers southeast of Mantua, where I live now, and a few of my students live there and look forward to celebrations on the day. 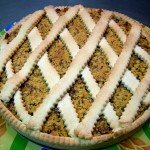 Of particular importance is torta di san biagio – a chocolate and nut pie encased in a special pastry that uses white wine in place of eggs. I am told that these pies have been made in Mantua for 450 years. In some parts of Mantua they make gigantic pies (3 meters across) to feed the whole community. Make the pastry by processing the butter and flour in a food processer to make a sandy mixture (or do this with your hands if you can). Pour the mix on to your counter top. Make the mound into a hollow volcano. Pour the wine into the hollow, a little at a time and combine it with the flour and butter mix. Then add the vanilla seeds. Knead to form a compact dough. Wrap in plastic wrap and refrigerate for 20 minutes. Chop the almonds in a food processor. Coarsely chop the chocolate and add it plus the sugar and lemon zest. Turn into a mixing bowl and add the eggs. Beat all the ingredients together thoroughly. Roll out the pastry to about ½ cm thick. Line a pie dish with the pastry, trimming and saving the excess. Fill the pastry in the dish with the chocolate filling, smoothing it down flat. Roll the pastry trimmings again, cut into strips, and make a lattice on top of the pie (to form lozenges), as shown in the photo. Brush the top with a little beaten egg wash.
Bake for 45 minutes, or until the crust is golden. Note: the pastry will keep in the refrigerator for 3 to 4 days, or can be frozen. 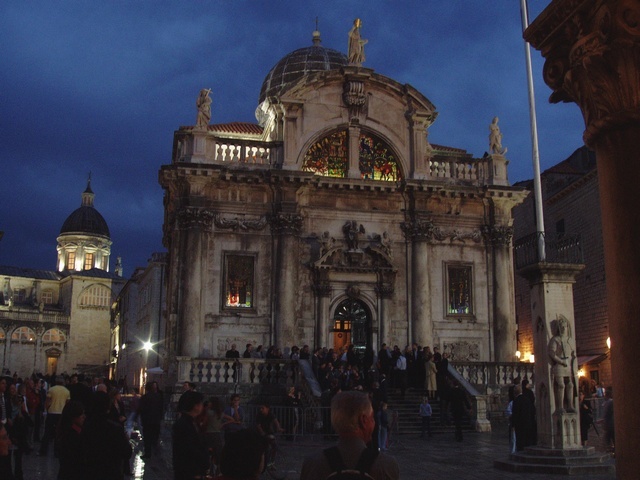 St Blaise is the patron saint of Dubrovnik. There on this day they make šporki makaruli (dirty macaroni). If you are health conscious use vegetable oil instead of the pork fat. Sauté the onions over medium heat in a large, heavy skillet until they are soft. Add the meat and brown gently. Add the tomatoes with their liquid and the wine. Bring to a slow simmer. Add all the seasonings to taste. Cook uncovered for about 1 to 2 hours – depending on the quality of the meat. If the cooking liquid reduces too much add a little stock to moisten. Cook the pasta in boiling salted water. Drain and place in a deep serving dish. Pour the meat mixture over the pasta and toss thoroughly. Ladle into serving bowls and top with crumbled goat cheese.